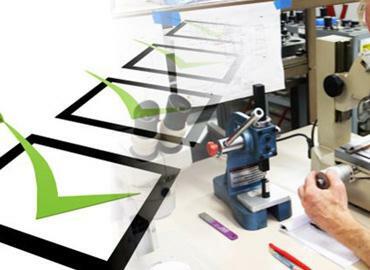 Quality certification of Electrostatic Paint in Aluminum Profiles. At European level, the control and certification of product quality electrostatic painted aluminum are determined by the specifications QUALICOAT. ALUMIL is certified with the mark of quality paint and aluminum QUALICOAT SEASIDE CLASS (or otherwise SEASIDE CLASS) from 15/08/1999 from the GREEK alumina compound until today. Quality certification Electrostatic Paint Aluminum Profiles. Since July 2003, ALUMIL has the right to use the Quality Mark Agency GSB - International, based in Germany, for the paint quality of aluminium profiles. The certification body GSB – International, makes extended range of controls from the Swiss Agency of QUALICOAT. Certificate of quality / Anodised aluminium profile. The anodizing Group (ALUFYL SA) unit is certified by the beginning of 2008 with the quality mark QUALANOD for anodized aluminum from the Greek Alumina compound. In mid 2008, the company proceeded, after a customer's demand, it conformity certification of production and quality control of the produced insulation profiles in accordance to the French standard NF 252 by the French Scientific and Technical Centre for Building Materials (CSTB).